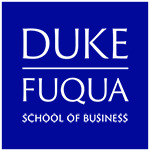 The Fuqua School of Business is excited to host The Duke MBA LGBTQ Weekend. This event is designed to provide prospective students with insight into the business school and admissions process. During the weekend you will get an inside look at academic and student life at Duke. Activities include class visits, admissions interviews, and networking opportunities. You will also receive information on financing your MBA and planning for the next steps in your career. We are committed to increasing the representation of diverse students in business school and corporate America. Today’s business world is diverse in thought, in action, and in philosophy, so it is crucial that our students are open to all ideas and viewpoints. The openness to new ideas is one of the most valuable legacies we can impart to our students, and it is why the entire Duke community has a long-standing commitment to diversity. The Duke MBA LGBTQ Weekend is open to all prospective MBA candidates regardless of their background who share this interest. Student members of Fuqua Pride, our lesbian, gay, bisexual, transgender and straight ally organization, serve as hosts for this 3-day event. We are committed to building and sustaining a multicultural and intellectually diverse environment by celebrating and valuing diversity in all its forms – opinion, background, work experience, age, ethnicity, gender, race, belief, and talent. We believe you learn the most from people who see things differently than you do. The Duke MBA experience shapes students’ worldview and fosters a mindset open to different perspectives, new ideas, and innovative solutions. That openness is one of the most valuable legacies we impart and it is why the entire Duke community has a long-standing commitment to diversity. It is also a key reason companies choose to recruit at Duke.